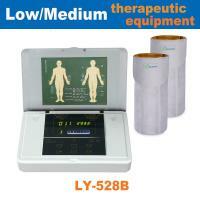 Low/medium frequency treatment instrument (bone and joint treatment instrument) LY-528B based on the meridian theory and modern electromagnetic theory,develop a new generation of bone and joint therapy device after years of research and clinical trials. 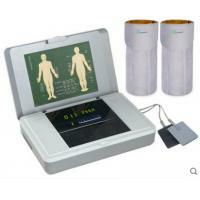 The machine combine a variety of methods of treatment, patients will be able to enjoy effective treatment at home. 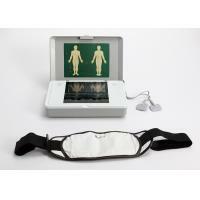 Unique combination: spectrum waist pad + knee pad + low/medium frequency,biological electric massaging accelerate blood circulation on the waist or other parts of the body. Leawell is a hi-tech enterprises focus on rehabilitation home medical equipment product development, production, sales and service.We have a high sense of social responsibility,with a positive,dedicated, professional service in every family in the world,to promote the development of healthy business. Leawell Science and Technology is standing on a starting point, as a rising star in domestic bio-spectrum technology development , adhering to the idea "innovation spectrum technology, the development of non-drug therapy," relying on a strong product development team and large-scale production base, with first-class precision machinery, advanced lab equipment. After 10 years of accumulating experience and technology, we gather a group of experts and professors from Tianjin University, Yanshan University, Dalian University to found a Product Development Institute. Meanwhile, we are adhering to the concept "build China's first brand of high-end family therapy instrument", we have passed ISO9001: 2008 quality management system, ISO13485: 2003 Medical Device Quality Management System and European CE and a series of medical equipment international certification. With 10 years efforts,by our dedicated and professional attitude,now our rehabilitation of medical devices are the most complete and diverse in rehabilitation instrument portfolio.And our product features and category are the most abundant , also our product development and product design are in the leading front end. We have a spectrum treatment equipment R & D team with over 10 years experiences, we holds the core of the cutting-edge spectrum technology and a number of national patents,we also have the largest series of spectrum products, we are the most comprehensive manufacturers.Our ideal for development of products based on consumer-oriented first, especially our products are widely used in many hospitals, our products designed for the elderly with humanity. From the product design, quality and technology has changed the concept of traditional medical equipment which cold and stiff. Our products are more fashion and easier to use than others, and more high-quality technology better than the same type of other products. We are carefully building China's largest production of rehabilitation equipment operators, in addition to manufacturing its own brand,we are also manufacturing expert in the international and domestic markets for medical devices,offering OEM / ODM / OBM service. We successfully develop and produce spectrum treatment instrument, spectrum therapeutic house, far infrared therapy device, TDP lamp, semiconductor laser treatment, lumbar traction belt, moxibustion lamp, low-frequency therapeutic apparatus, bone and joint treatment device,knee physiotherapy device, meridian therapy device, TENS, acupuncture pen, massage machine, spectrum protector, smart home oxygen machine etc, which has several significant characteristics, and good clinical efficacy of high-tech innovative products, and has won the SFDA medical devices "quasi" font certificate, also won 20 national patents. Our products in recent years have won the China International Health Expo designated products and Technology Progress Award, Outstanding Product Award and other awards.Our products are sold in major domestic and rehabilitation hospitals, clinics, medical equipment wholesale city, chain pharmacies, medical equipment store, experience store,beauty salons, health clubs and online Ali Baba, Tmall, Jingdong, Taobao, the major pharmacies, medicine malls.Our products are welcomed by many medical equipment bidding and major traders at home and abroad,and OEM production. Copyright © 2009 - 2019 adobecards.com. All rights reserved.